For the first time, winners from the 5th International Reggae Poster Contest will be exhibiting their posters in the Ostroda Reggae Festival this August in Poland. The Art of Reggae Exhibition features 40 reggae-inspired posters that were created by artists from across the globe. This show will be a celebration of reggae music reflected through the vibrant works of design and illustration. All of the posters were carefully selected from the 2016 International Reggae Poster Contest that had nearly 7000 poster entries for the competition. 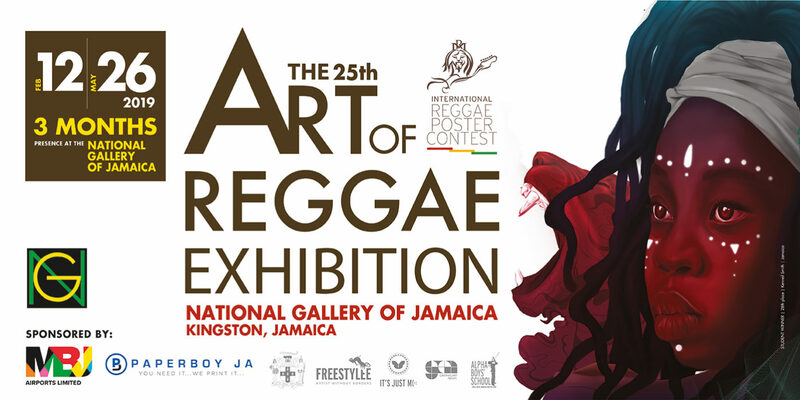 The aim of the poster contest is to build awareness about reggae music, and to establish a world-class “Reggae Hall of Fame Museum and Performance Centre” in Kingston, Jamaica. It also strives to help raise global awareness for Alpha Boys’ School, an institution for underprivileged youths in Kingston, Jamaica. The exhibition will take place on Friday 11th August at the Chamber Room of the Ostróda Amphitheatre.